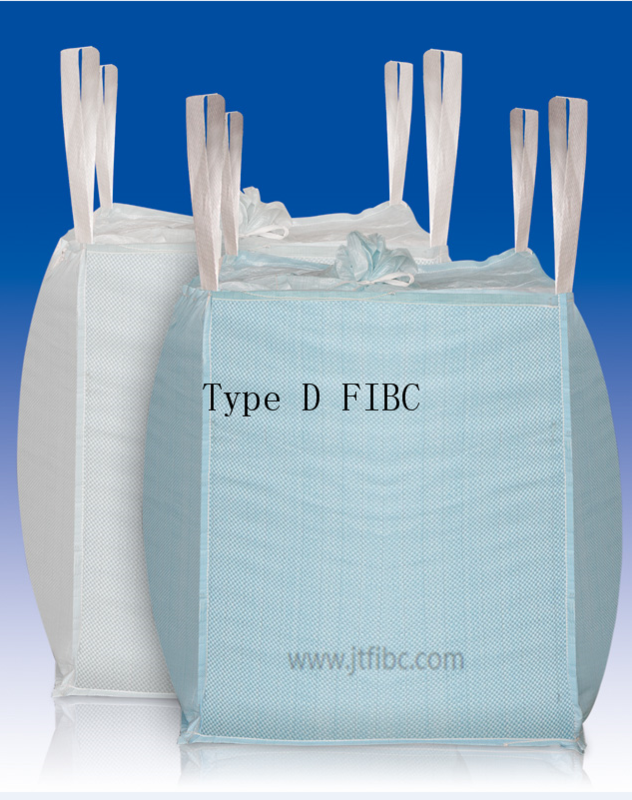 Product categories of Type D Disspative FIBC, we are specialized manufacturers from China, 1 Ton Bulk Bag, Type D Fibc suppliers/factory, wholesale high-quality products of Fibc Bag R & D and manufacturing, we have the perfect after-sales service and technical support. Look forward to your cooperation! When transporting or storing volatile or combustible materials in Bulk Bags, it is extremely important to choose static hazard controlling bags to prevent accidental discharges of static electricity. These discharges can cause the materials being transported to combust, leading to potentially fatal situations. A static hazard controlling bag such as the Type D Fibc will prevent static electricity from building up and potentially sparking an explosion. Unlike other types of static hazard controlling packaging, Type D bags do not need to be grounded before they are filled. This provides a significant advantage in terms of safety because it eliminates the risk of human error. Type C FIBCs must be grounded before they are filled or discharged. In high-volume situations, this can lead to potentially hazardous oversights. Because they do not require grounding, The Type D FIBCs represent the highest level of safety for applications in which bulk bags are used for storing or transporting volatile and/or combustible materials.